Garmin / Delorme Atlas & Gazetteer - California. $24.95. Amazingly detailed and beautifully crafted, large-format maps for all 50 states. Topographic maps with elevation contours, major highways and roads, dirt roads, trails and land use data. Perfect for sightseeing, exploring back roads, outdoor recreation, and trip planning. 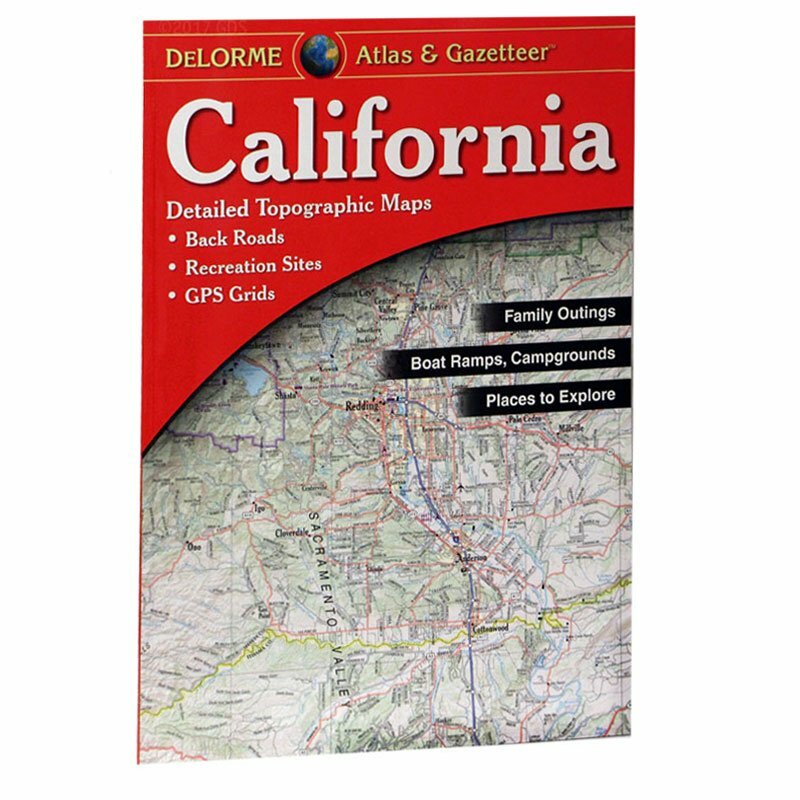 The California Atlas & Gazetteer includes 138 quadrangular maps covering the entire state. The scale of the maps is 1:200,000 (one unit of measure on the map represents 200,000 units of the same measure on the ground). Each map page is composed of 35 minutes of longitude and 38.5 minutes of latitude, covering an area approximately 32 miles (51.5km) wide by 44.4 miles (71.5km) high. The Gazetteer section is packed with information on places to go and fun things to do, all cross-referenced to the maps. There are 7 categories of Gazetteer information in all. Plan everything from weekend outings to wilderness adventures!